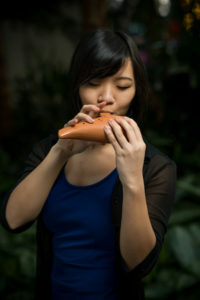 Ocabanda was inspired by the rich history of ocarina ensembles that are as old as the ocarina itself. In 1853, an Italian craftsman by the name of Giuseppe Donati created the first Ocarina (an Italian word meaning “Little Goose”). Soon after, he began making ocarinas of varying sizes and organized a small “ocarina band”, starting with five ocarina players, then eventually seven. Ocabanda founder David Erick Ramos witnessed these ocarina ensembles first hand at the 2011 Ocarina Festival in Budrio, Italy and was impressed by the level of skill and unity displayed by these groups from countries across Europe and Asia. 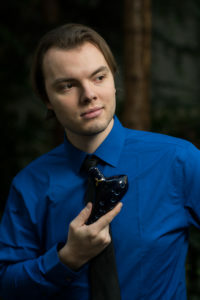 Since then, he aspired to have an ocarina ensemble that represented the United States, and in 2017, gathered some of the best ocarina players in the country to form America’s first ever Ocarina septet! 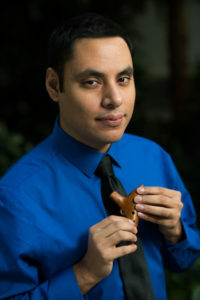 David Erick Ramos, a native of San Antonio, TX, has been performing with the ocarina for over 16 years. He has promoted the instrument via his YouTube channel since 2007, where his music videos and ocarina tutorials have been viewed nearly 60 million times. Currently working on an ocarina method book and new album inspired by his travels, he also enjoys bike riding and going to the movies. 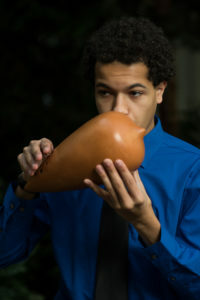 Jordan Moore, a native of Baltimore, MD, discovered ocarina in 2011. Since then, ocarina has been one of the main instruments he performs on for his YouTube channel. In addition to video game and anime covers, he promotes the ocarina as an instrument that can be used for classical music and in ensembles with other classical instruments. Jordan is currently a junior at the Eastman School of Music, majoring in euphonium performance and music education. His main hobbies are arranging music and speed-cubing. Ella Tran is a Portland, OR ocarinist with a passion for fun! 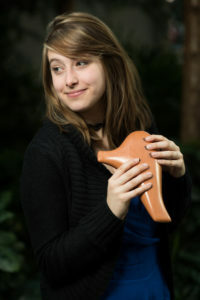 As a costumer and musician with 12 years of experience, she hosts hands-on ocarina lesson workshops at local conventions around the Pacific Northwest. Her website, learntoplayocarina.com, is an online tab database for beginning ocarina players. Her daily life, costumes, and music clips can be viewed on Instagram (@traxicat). 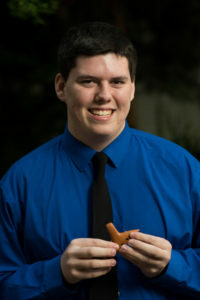 Andy Cormier is a business student at San Jose State with over ten years of music training, seven of which include the Ocarina. Most of his experience is in choral music, having performed with choirs at Carnegie Hall, as well as a choir performance with Andrea Bocceli. Andy also enjoys education, gaming, and personal fitness. 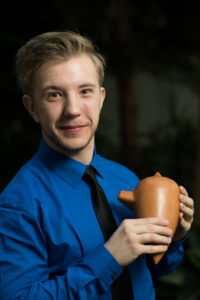 Steven Higbee, who is currently living in Ellensburg, WA, is a music education major at Central Washington University. His primary instruments being Clarinet and Saxophone, he also has experience on many other instruments including the ocarina, which he has been playing for the past three years. In his spare time, Steven enjoys skateboarding and playing Ultimate Frisbee. Tad Howley is a multi-instrumentalist from the DC Metro Area, currently studying the trombone at Towson University. Having picked up the Ocarina nearly a decade ago, Tad has enjoyed a delightful career promoting the instrument, working alongside local artists such as composer Darren Schmidt, as well as the Baltimore Gamer Symphony Orchestra. For information and videos, check out That Ocarina Guy on Facebook! Kaitlyn Scott is a communications student at the University of Wisconsin-La Crosse, and a former clarinetist of the Windy Hill Symphonic Band. Beginning with clarinet in 2009, she later picked up the ocarina in 2012 and typically plays for fun at anime conventions and Rennaisance faires. Kaitlyn’s cosplays from these events can be viewed on her Instagram (@smelly_lotion ).